While speaking to media after BJP's interim government fell in Karnataka, Mayawati called it a massive defeat of BJP. Taking a dig at Karnataka Governor Vajubhai Vala's decision of inviting Yeddyurappa to form the government in the state despite being 8 seats short of a majority, she then thanked the Supreme Court for upholding the Constitutional morality. 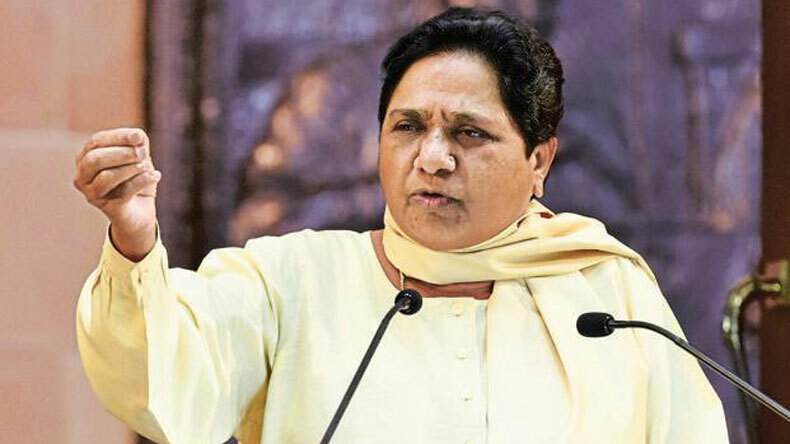 Bahujan Samaj Party (BSP) supremo Mayawati on Saturday attacked the BJP leadership for “misusing the government machinery” and targeted Prime Minister Narendra Modi accusing him of subverting the nation and every institution possible. Mayawati’s scathing attack came in the wake of BS Yeddyurappa’s resignation as Chief Minister of Karnataka after holding the post for just two days. Congress-Janata Dal Secular alliance will form government in the state now with JDS leader HD Kumaraswamy as the new CM. While speaking to media after BJP’s interim government fell in Karnataka, Mayawati called it a massive defeat of BJP. Taking a dig at Karnataka Governor Vajubhai Vala’s decision of inviting Yeddyurappa to form the government in the state despite being 8 seats short of a majority, she then thanked the Supreme Court for upholding the Constitutional morality. Mayawati then slammed BJP president Amit Shah and PM Modi for deploying negative tactics in the electoral battle. “What happened, happened because of Amit Shah and PM’s conspiracy. They want to grab every institution in the country by misusing the central and government machinery,” she added. Karnataka Governor stirred a massive row on May 16 after he invited BJP to form the government despite the coalition of Congress and JDS boasting a higher mandate. The governor further gave 15 days to BJP to prove majority in the state Assembly. The aggravated alliance immediately moved the Supreme Court and forced the court to hold a midnight hearing, third time in apex court’s history. The Supreme Court later reduced the time for the floor test and rescheduled it to May 19. Minutes before the floor test, BS Yeddyurappa resigned as the Karnataka CM and annulled the trust vote giving JDS-Congress alliance the opportunity to form the government.